Business cards, loose change, paper scraps, ticket stubs, and old receipts are some of the junk that slowly pile to pack your stylish designer wallet with extra baggage. This is very annoying especially when you don’t know what to throw away and what to keep once you realise it is becoming harder and harder to find a particular must have item in your wallet. It is also sort of embarrassing to have all kinds of scrap falling from your wallet in public. As if that anxiety of looking for items you can’t find is not a nuisance enough, extra weight and volume stretches out your wallet ruining a perfect designer piece and damaging your stylish reputation. 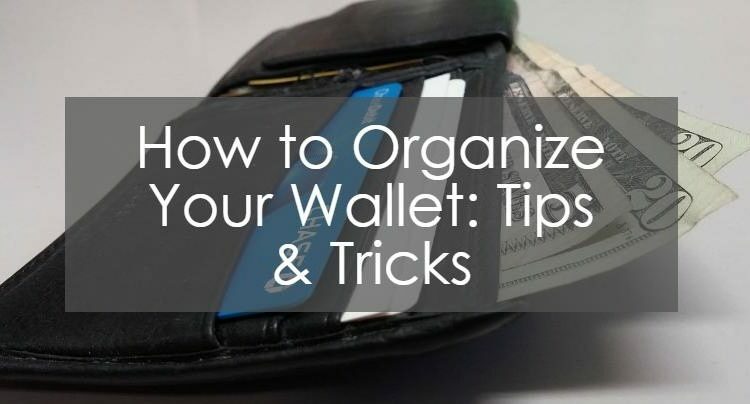 Here are a few tricks and useful tips on how to organize your wallet so you never have to suffer the repercussions of a poorly organised wallet. Keeping it simple is the best way to excel in organising you wallet. Find a simple wallet and carry only what you need, it’s that simple. See our review of slim wallets. Folding cash into card holders only creates a mess and is counterproductive. It also makes it much more difficult to retrieve your money the next time. You need to go through your wallet from time to time to remove the paper scraps that you don’t need moving forward. Sort carefully through your receipts to ensure you are keeping only expensive ones that you will need. Yes it is helpful to have a wallet with over 50 card slots if you are going on a business trip. However, maybe you should also get a smaller simpler one for everyday use. A smaller wallet is just as effective if you employ digital tricks like card star and lemon wallet among other apps that can help you consolidate your cards. 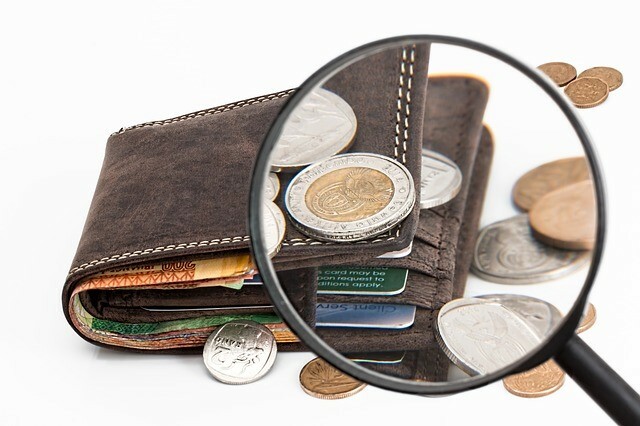 Coins are among the greatest nuisances when organising your wallet. They make clutter and noise in the wallet and are also a one major cause of wear and tear. Use them first and always store them in their section where they are held firmly and confined so they don’t spill all over the place the next time you reach for another bill in your wallet. Prefer bills when receiving change for easier carrying. In conclusion, keeping the wallet well organised and optimised for easy retrieval of its contents is not the reserve of neat freaks and perfectionists. It is a healthy habit that could save you money, effort, time and a whole lot of embarrassment. Optimising your wallet will help you keep your spending in check and get you the most rewards for credit if you are going out shopping. So don’t look too old by carrying one bulky and stretched out wallet full of garbage. Keep your wallet clean and organized with the above tips. What about you? What do you think are the other best tips to organize a wallet? Please share your thoughts in the comments section below.